When Hurricane Michael slammed the Gulf Coast earlier this month, it left an unprecedented trail of destruction that will cost millions of dollars and months, if not years, of effort to repair. In the aftermath of the first Category 4 hurricane to strike the Florida Panhandle since record keeping began in 1851, equipment dealers faced the twin challenge of supplying dozers and excavators for government cleanup efforts while at the same time recovering from the damage to their own businesses. Michael made landfall Oct. 10 at Mexico Beach with top winds of 155 mph and peak water surges of 14 feet. Panama City, which lies only 24 miles away, suffered some of the worst devastation of any community in the hurricane's path. The largest hospitals were shut down, roads were blocked by water or debris, and buildings were torn apart by the wind. Beard Equipment had some staff working in Panama City, but the branch was “not really up and running,” Rainey said. Advance planning, which has become habitual for emergency contractors along the Gulf Coast, has been crucial to dealing with the emergency, and Beard began supplying them with equipment while Michael was still gathering strength in the Gulf of Mexico. Rainey added, however, that if those contractors were out helping in the storm's immediate aftermath, they were doing so on a very small scale. Meanwhile, bringing Beard Equipment's Panama City facility back to full operation will take time and patience. “Even with generator power, there won't be full operations for at least a month and a half,” Rainey said. “The thing about this storm that's different is the amount of tree cover, so the debris is on a completely different level. And the structural damage to buildings is more significant than many of the storms that we've experienced, and I cross the Gulf Coast all the time. This one is significant. Beard's Panama City employees have been especially hard-hit, and the company has mobilized to help them weather the crisis. 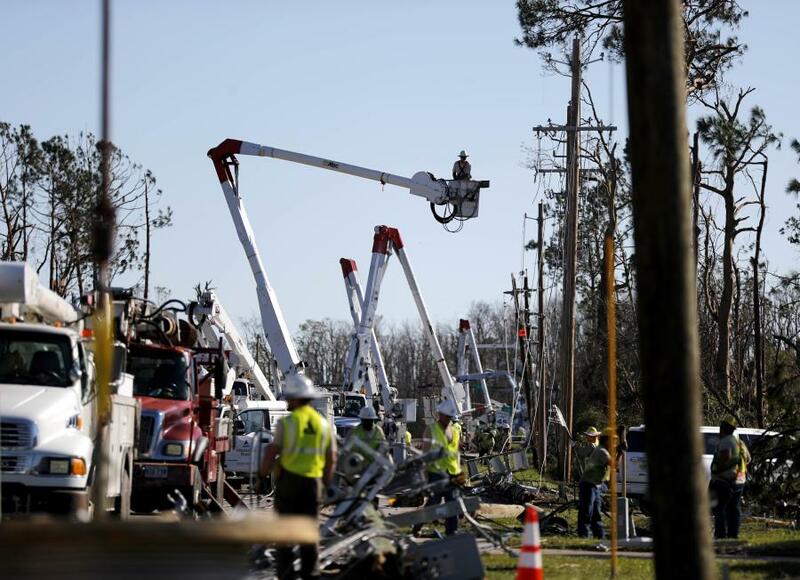 Initial estimates indicated the worst-hit areas could be without power for up to two months, Rainey said, but he remained optimistic, nonetheless.